This is a limited release so please email us at info@wemakerunningcool.com or call 64567868 to reserve a pair. If you aren’t using a foam roller as part of your regular training regime, it’s not too late to start now! Self myofascial release is an athlete’s best friend and helps keep your body in tiptop condition. Use the Fitbar before your workouts to get the muscles warmed up or post-workout to jump start your recovery. The complete range of Fitbar rollers is available now! Get to the finish faster! To reserve or enquire, please email info@wemakerunningcool.com or give us a ring at 64567868. Sorry for any inconvenience caused, folks. Please drop by on Sunday instead, we’ll be open from 11am – 3pm! We finally received the new shoes for Fall/Winter 2014! The Mizuno Wave Hitogami has a new cool, blue colourway. The Hitogami has been super popular this season. It is a neutral lightweight trainer that offers a touch of support thanks to Mizuno’s proprietary Wave Plate in the outsole. 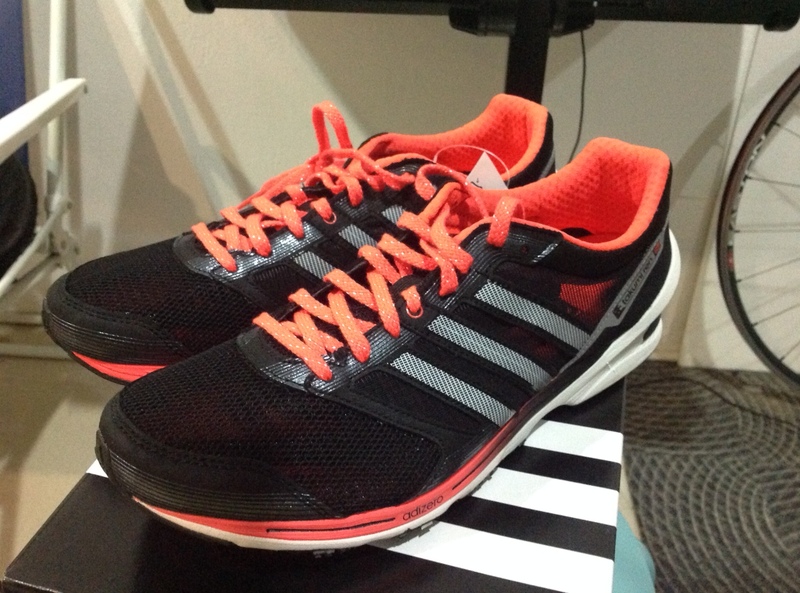 Enough cushioning for runners to easily tackle distances up to 21km (or further), but with the responsiveness that you would want in a race day shoe. Sorry ladies, the local distributor for Mizuno dropped the women’s Wave Hitogami this season. We’re still trying to get our hands on some, so fingers crossed! The Wave Hitogami retails for $169. 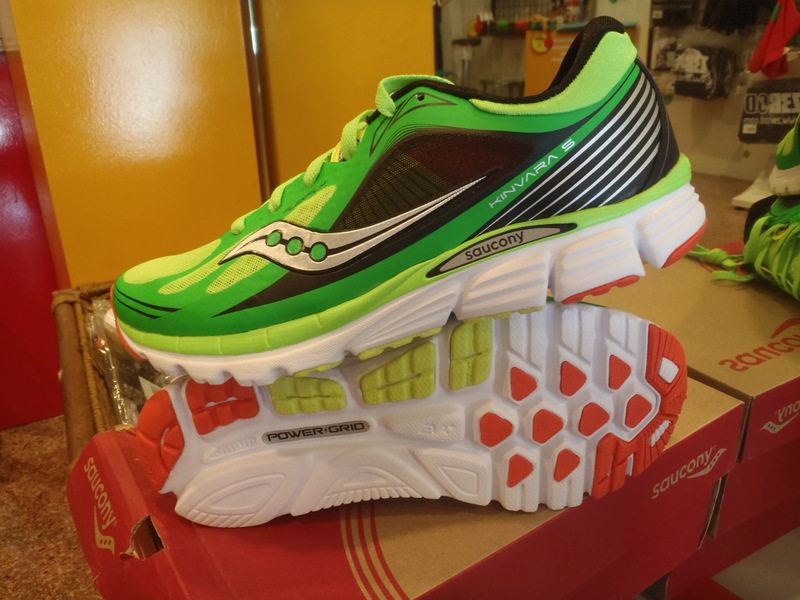 The much anticipated Saucony Kinvara 5 also finally reaches our shores! Well, the men’s model at least. The ladies’ K5 is slated to be available in early October. The K5 is latest iteration of Saucony’s beloved 4mm heel drop lightweight trainer. The K5 sees a change in the upper from the K4 (cue the cheers & applause). The K5 has a softer, breathable mesh that translates to a slightly wider fit in the toe box. The outsole has seen the introduction of a few more spots of high durability rubber in those high wear areas for improved durability. 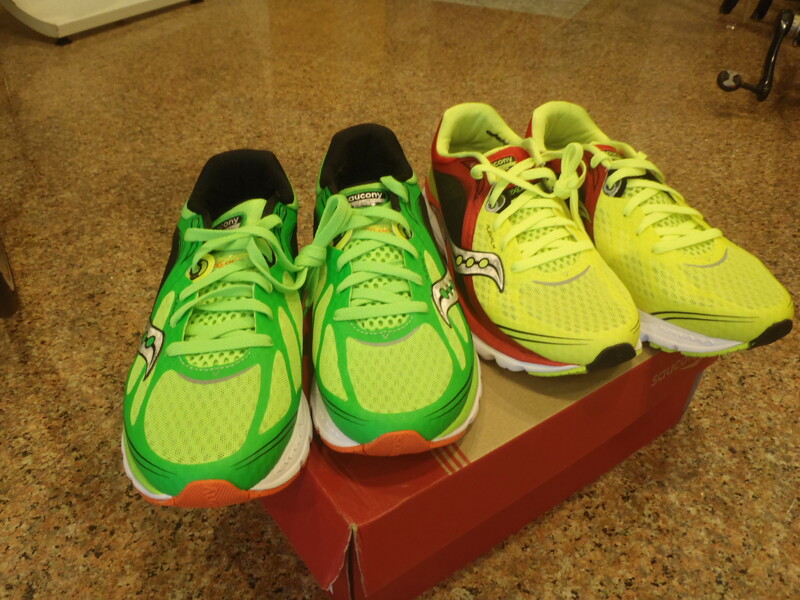 What might split the Kinvara lovers is the fact that the K5 seems a bit stiffer than the previous versions. While runner’s that gravitate to the Kinvara for it’s ‘natural’ feel might be slightly disappointed, I think the perceived increase in support will encourage more runners to pick up the K5 for it’s increased versatility. The K5 retails for $159. Last but not least, the guys at Vamos have released another 3 models of their very eye-catching socks. The “Maria”, right most in the picture, is women’s specific. All products are available in store. See you soon! 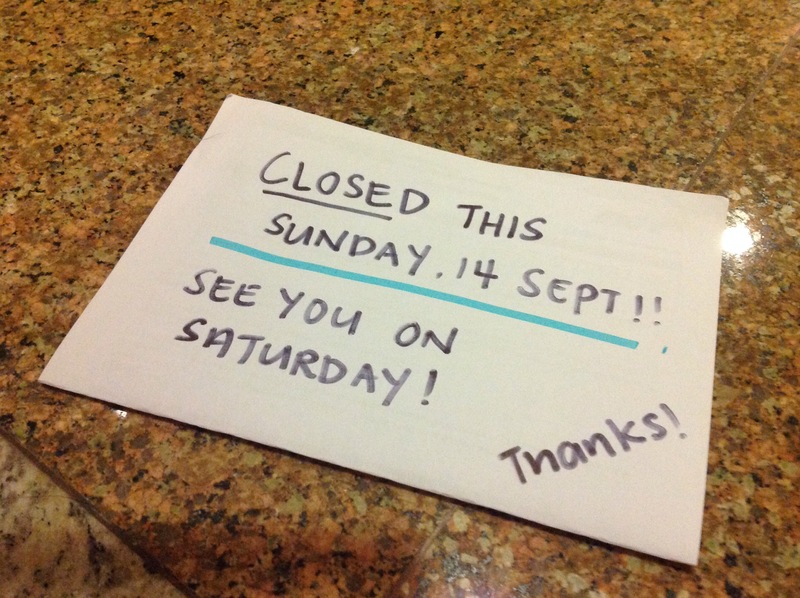 Closed this Sunday, 14 Sept! Please take note that we’ll be closed this Sunday! Well, it’s been a a little quiet on shoe front these few months. There haven’t been a lot of new releases, but with Fall/Winter, hopefully your feet will be in for a treat. 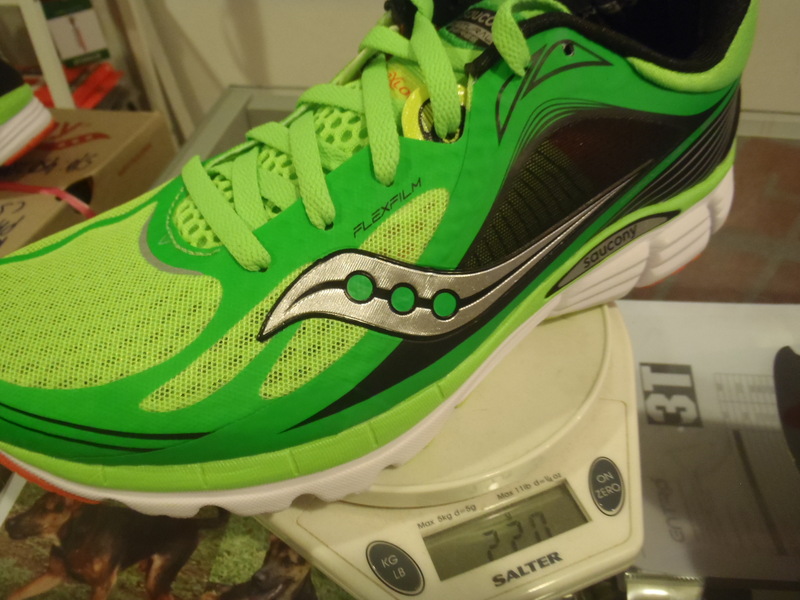 This afternoon, we received the new Saucony Kinvara 5 (K5)! As you know, we’ve always been rather fond of the Kinvara series so it will be interesting to see how this new model stacks up against its predecessors. 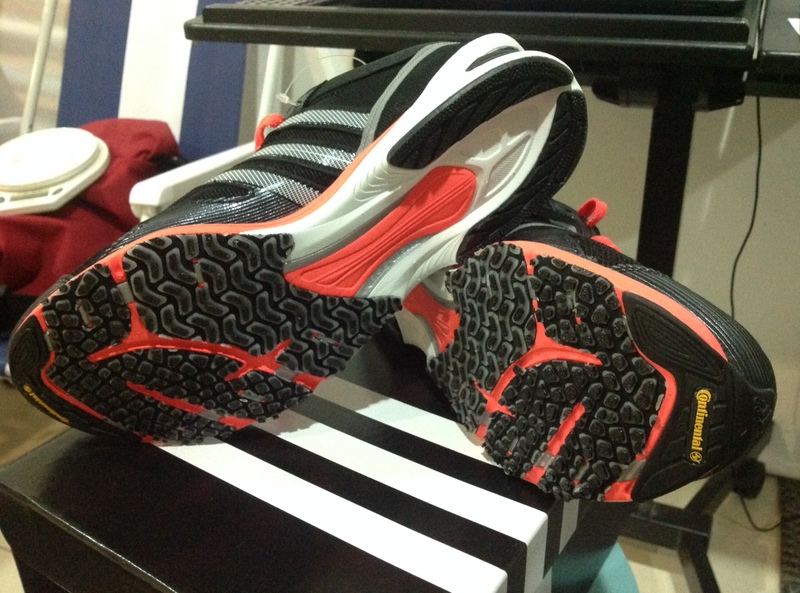 Once you slip your foot into the K5, you can tell straight away that it is a comfortable shoe. Though it is built on the same last as the K4, the K5 uses a more flexible mesh in the upper. As a result, the toe box feels wider and much less restrictive. The K5 sports a re-designed Flexfilm overlay and the new Pro Lock System that is supposed to help lock down your midfoot even more. I don’t lace my shoes up that tight while running so admittedly, I didn’t feel the full benefit of the Pro Lock System. I did experiment with the lacing after and if you did you laces up tight, the Pro Lock definitely holds your midfoot in place. The heel counter has been redesigned and while it is reportedly a tad higher, the softer material around the collar felt super plush and I don’t see it being an issue in the long run. 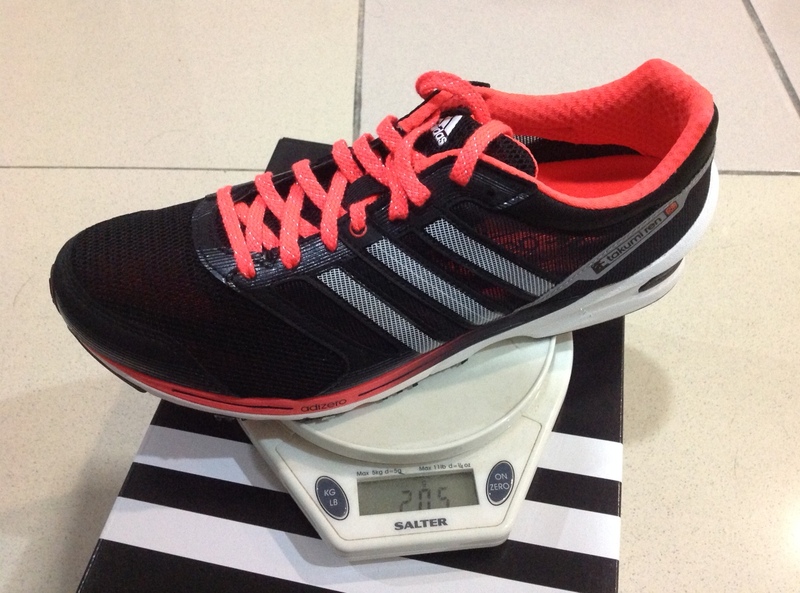 Slightly re-designed outsole and perhaps more stability on the lateral side? The K5 has the same profile as the K4 but it does look slightly more built up than before, though the weight remains unchanged. High wear areas have received a bit more attention but the grooves throughout the outsole don’t look as deep as before. After a short gander on the treadmill, my initial feeling is that the K5 feels less flexible than the K4. It’s not uncomfortable, but it does seem like a bit of a departure from the previous iterations. While the runners that took to the Kinvara for it’s more minimalist appeal might be disappointed, I think this opens up the Kinvara to a much larger group of runners. Slightly firmer but still smooth on transition, more runners will be tempted to slowly introduce the K5 as an alternative for their long runs. 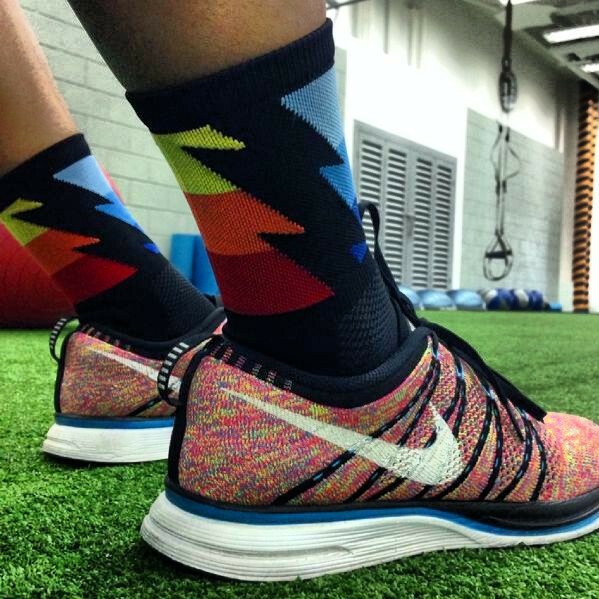 A little reminiscent of the Nike’s Dynamic Flywire system? Overall, the K5 looks to have widened it’s appeal to the masses. 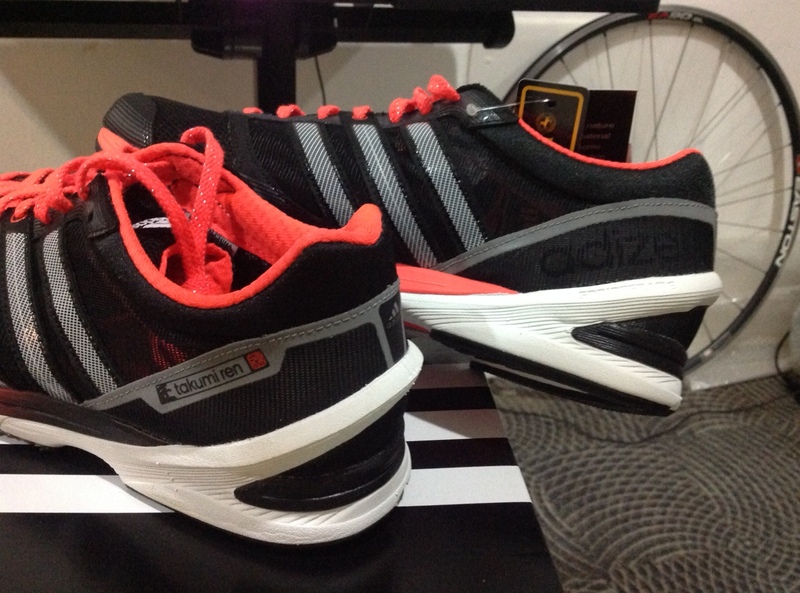 The more generous toe box, improved durability, cushier upper and perceived increase in stability make this an easy shoe for runners to transition to from their traditional daily trainers. The blend of a low heel drop (for the midfoot strikers) with ample cushioning in a lightweight package is still very sought after. There might be other competitors in this category nowadays, but with the Kinvara 5, Saucony continues to secure their position at the front of the pack. The Saucony Kinvara 5 (men’s) is available now and retails for $159. It is available in the above two colours. 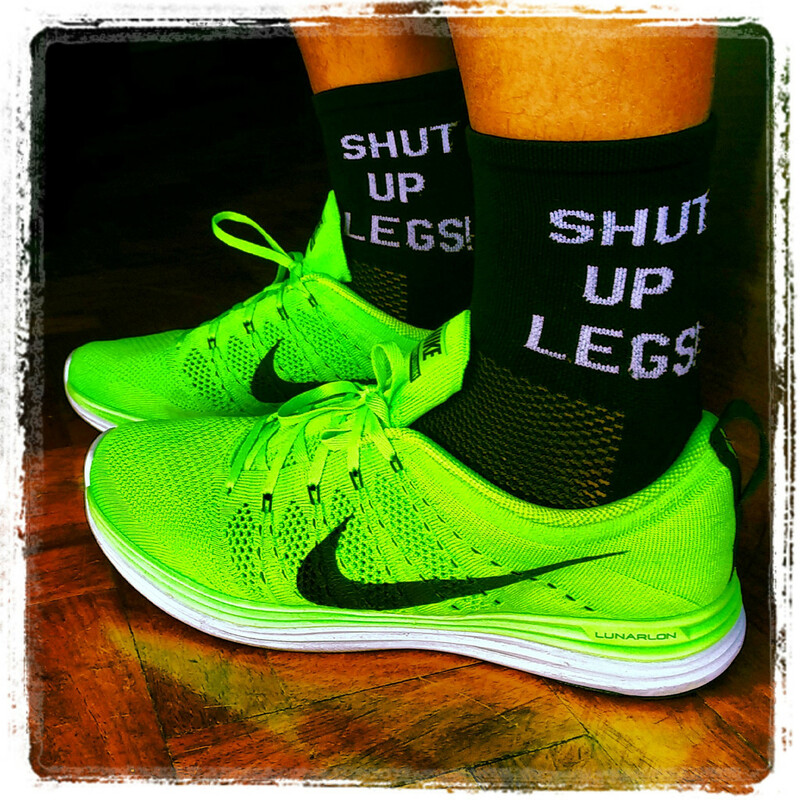 Vamos – Embrace the Socks! We’re very happy that you can now get your Vamos socks here at TRG! 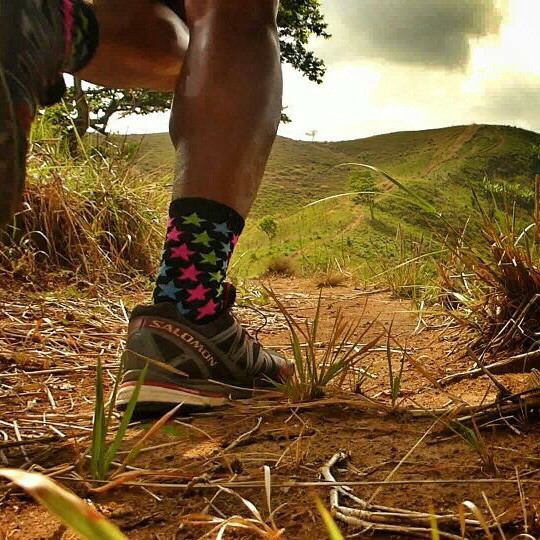 Vamos performance socks are made by athletes for athletes. The perfect combination of Nylon, TECHNICOOL, and Spandex keep your active feet dry, and your friends at bay. Time to turn on the style and embrace the socks! Go celebrate National Day and catch the fireworks! 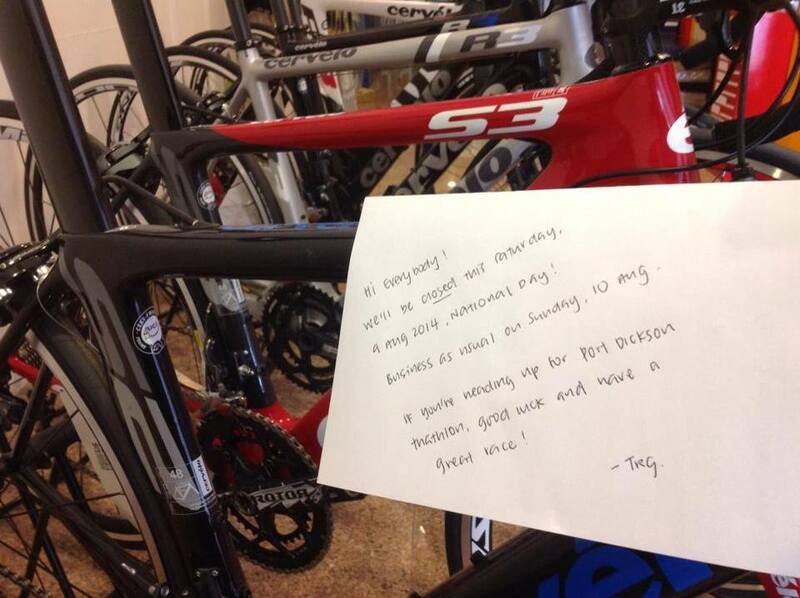 TRG will be closed this Saturday, 9 August 2014! Our national anthem is not called Mari Kita! It’s business as usual on Sunday. 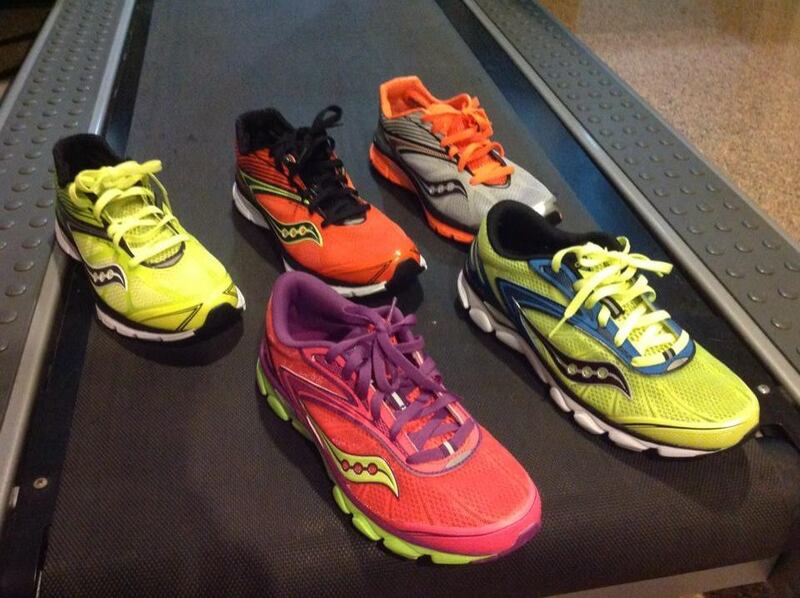 Hey Saucony fans, all our remaining Kinvara 4 and Virrata 2 shoes are on offer! 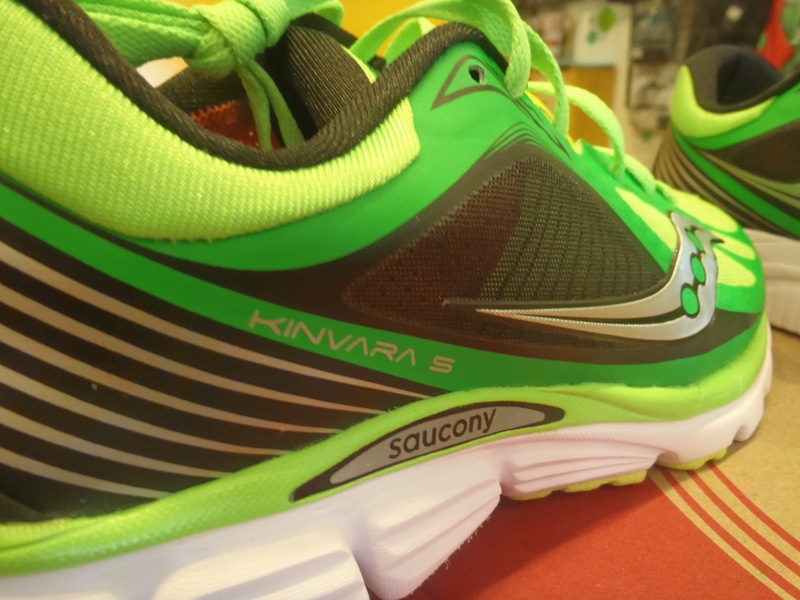 The Kinvara 4 is now $119 (was $159) and the Virrata 2 is now $99 (was $139). The offer price is available now and will go till we run out of stock!